Dear Santa, Leave presents. 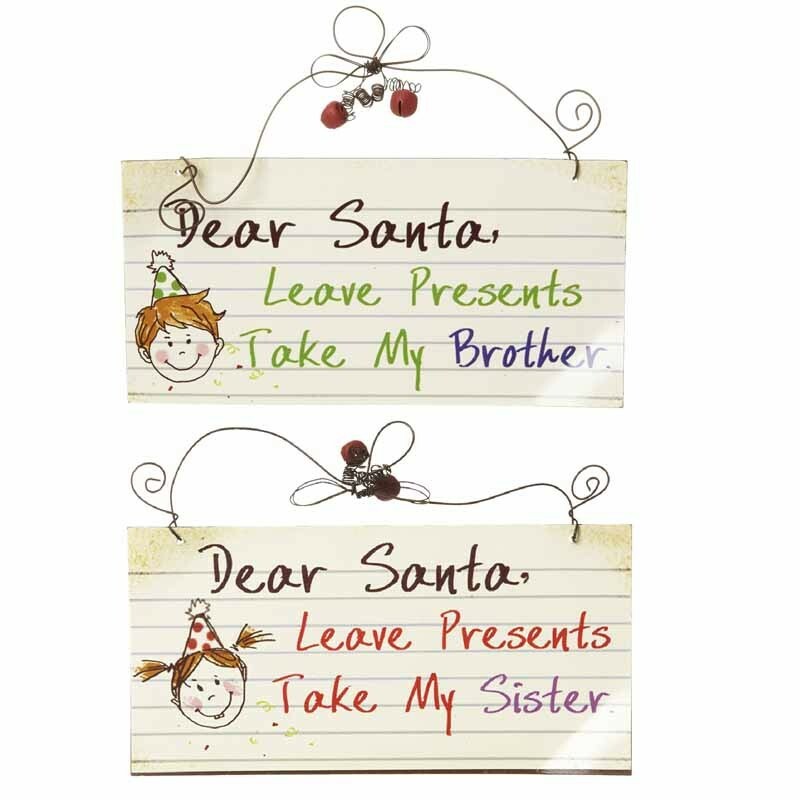 Take my Brother/Sister Hanging Sign. Metal hanging sign with wire hanger and red metal berries. 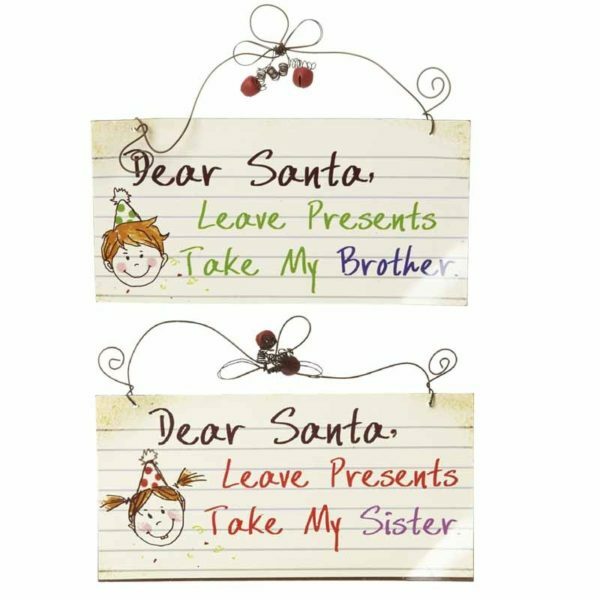 Great fun sign for all siblings.